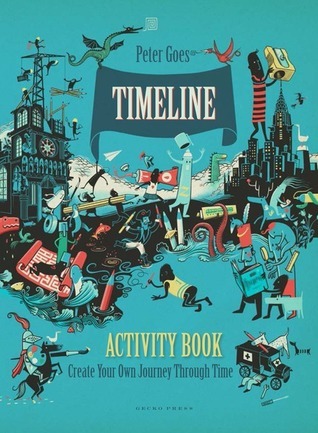 This companion book for the international bestseller Timeline will spark your creativity. Drawings, puzzles and activities sit alongside facts and images from Peter Goes's remarkable visual history of the world. This book was great it really gets your creative juices flowing and I had a really fun time doing this on a road trip. This is a very in-depth look at time with some great activities for us kids to do. The only thing I wish this would have been was longer.